Well, we made it through that month pretty quickly! In honor of the first “30 days” I am going to tell you what we’re going to do – if any one can name what series/books/etc that each image came from – you will win a prize. A real prize! 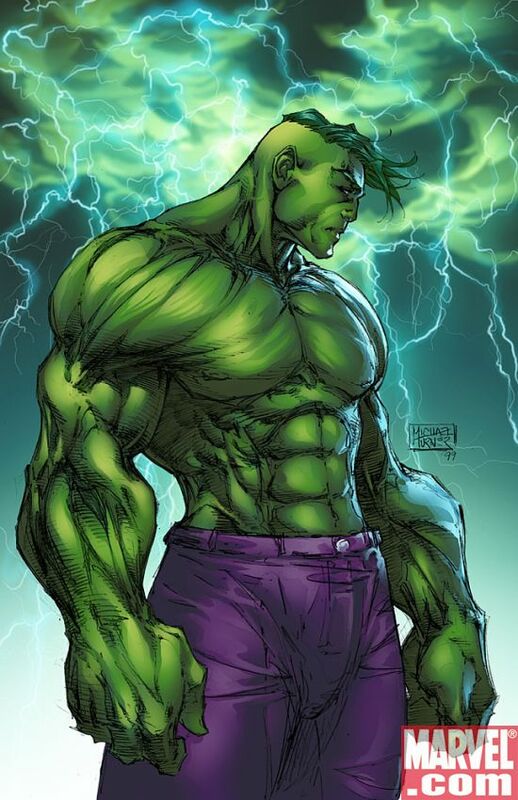 I will sketch a cover of your favorite Hulk and send it to you! Now listen – here’s the thing – I am only let this offer go a week. But since you guys seem to be able to get those “Guess the Panel” posts so quickly I have no doubt someone will be able to get all of these. So, to be clear, you must name the Series, the issue # (where applicable), or the book and the page # and such – for EVERY image. First person to get it wins. Good luck! Just to let you know – this is a one time only sort of thing – I will not be able to do this every month. But, if there is no winner, I will be doing something different. Good luck to all who attempt this! 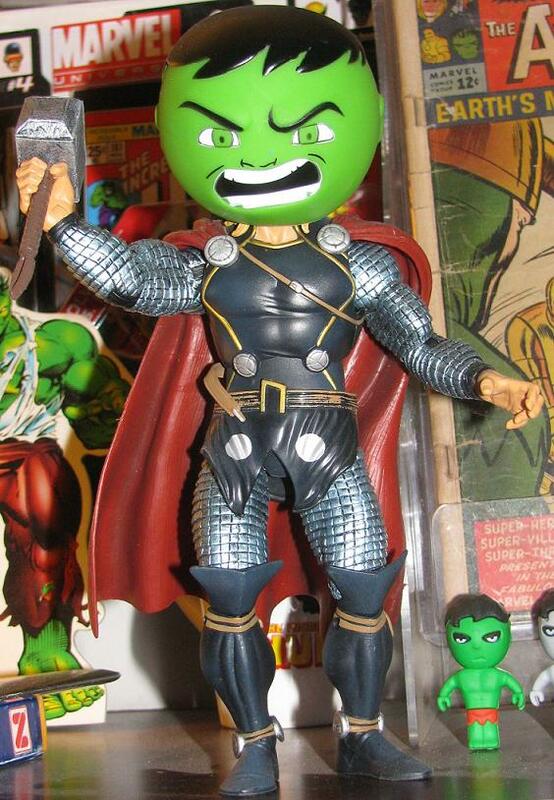 There is some small sense of victory I get when friends of mine pick up Hulk items for me. 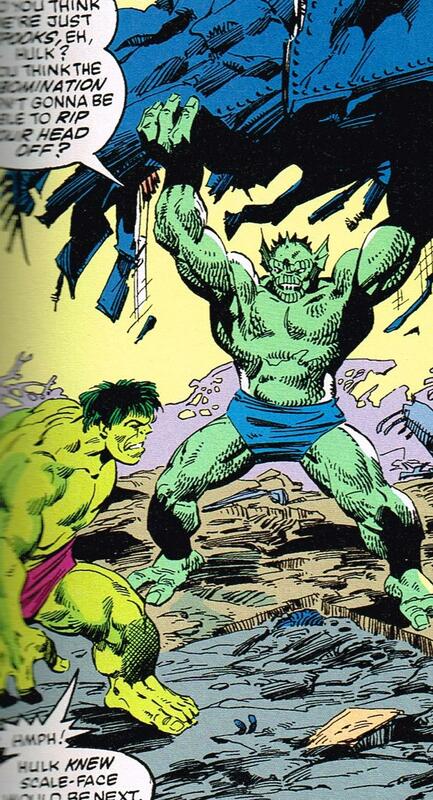 Victory, meaning, people know my love for the Hulk so much that when they see something Hulk – they must pick it up just for me! 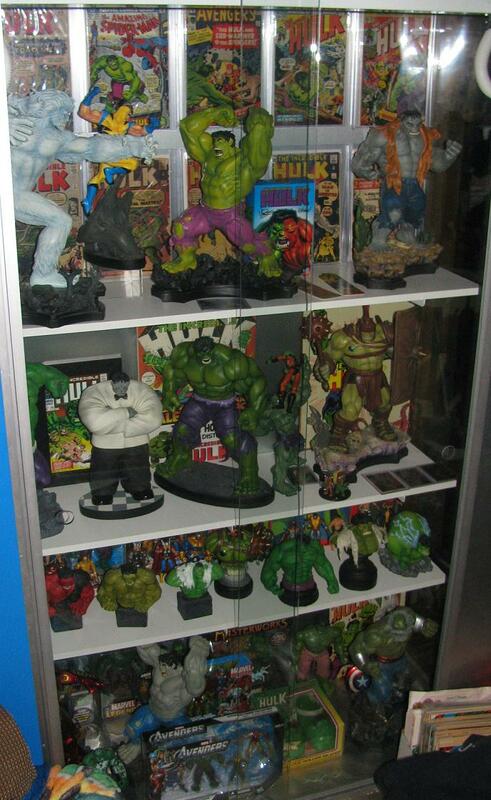 It’s a pleasure only the most dedicated collectors out there will know! 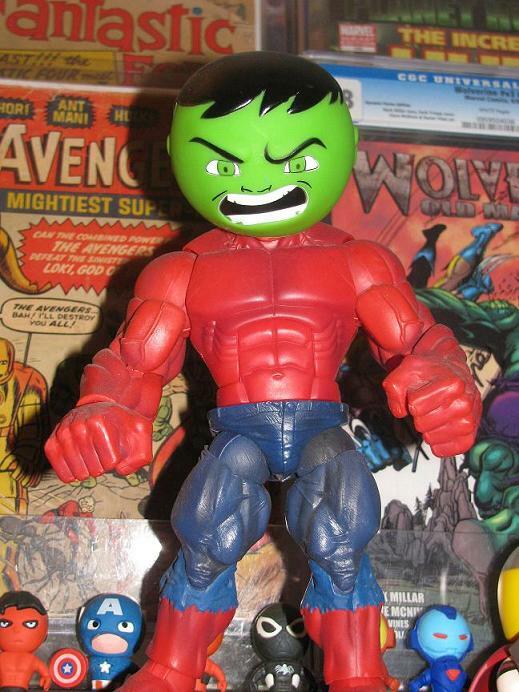 For me, that moment came when I walked in my local TRU and one of the manager’s there (who I have become friendly with) not only put aside this Hulk Bubble Bath (2012, $3.99) but with it was a receipt – she had actually purchased it for me! As a gift. 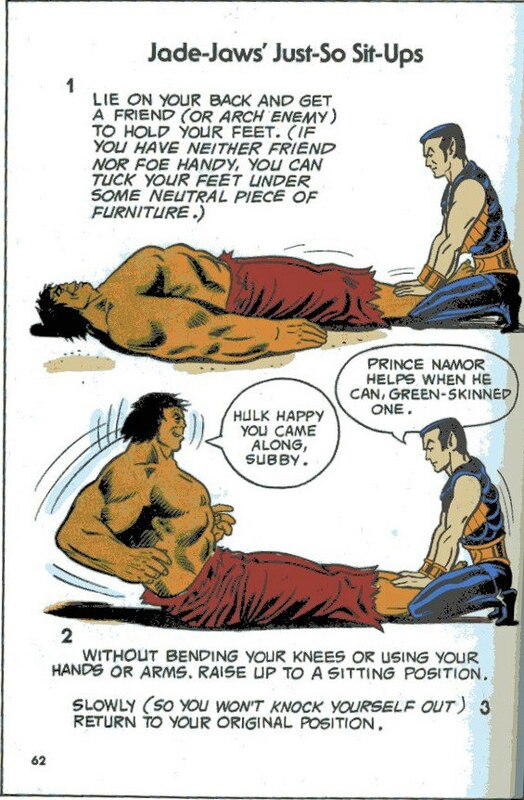 It was such a nice gesture – and made me even happier when I realized I could finally make my Red Hulk figure look better! Can there really be only two days left? I will be so sad… but not really. 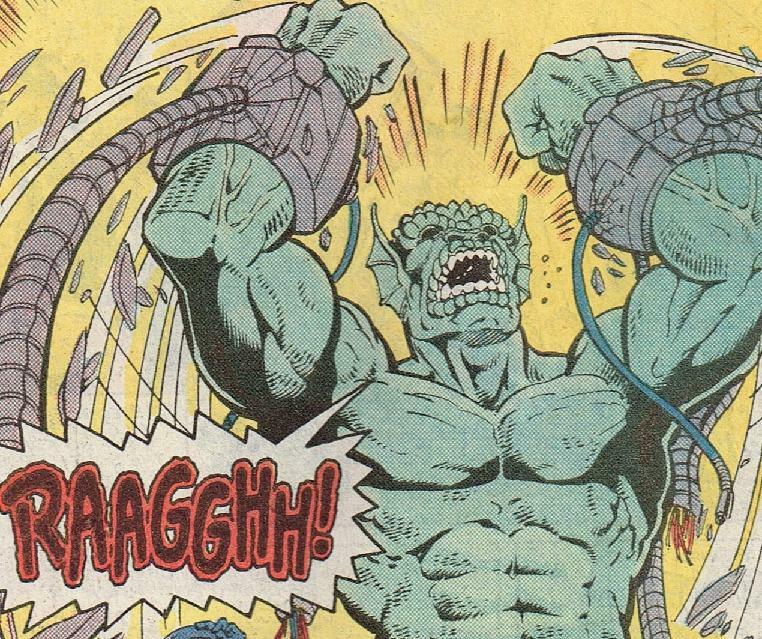 One thing I don’t get is how many times do they have to put the Gamma dudes in restraints, only for them to break free, will they realize that it does not work!? 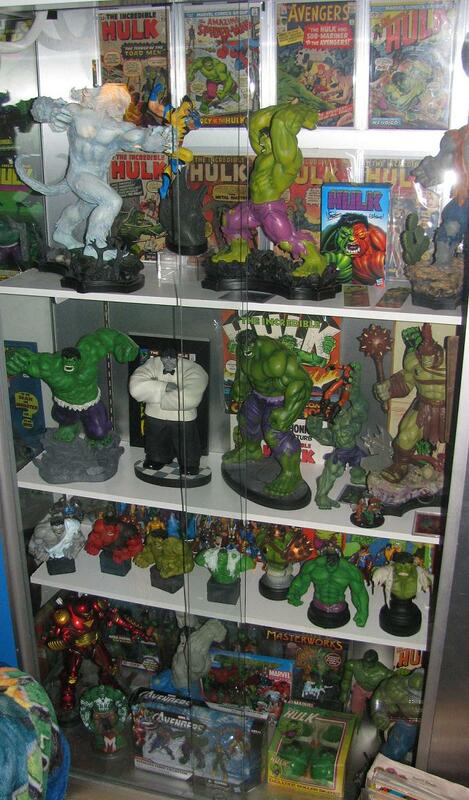 My favorite spot in the Hulk room is my display case. I was able to talk my local Toys R Us into giving me an old display case they were going to get rid of. It was a project and a half to get this thing into my house – but I am so glad I didn’t give in to everyone saying it will never fit! 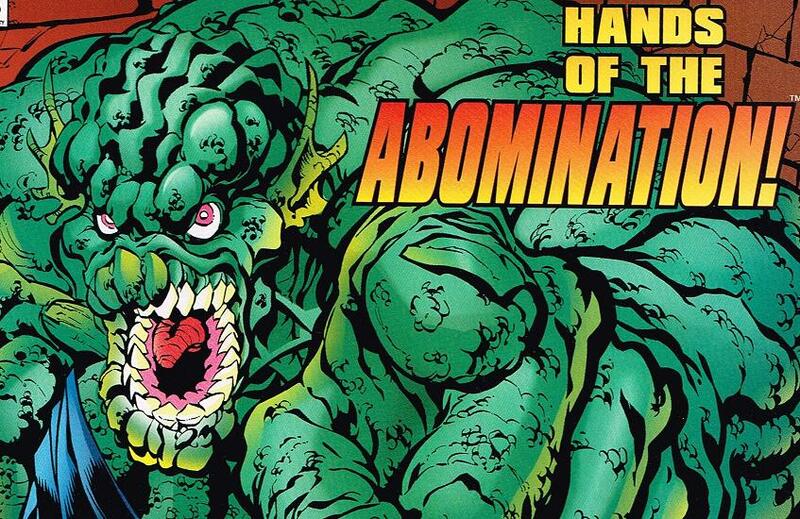 You know how I know Abomination is a bad guy? Because he hates Captain America! No one hates that guy! He’s like vanilla ice cream!